June | 2016 | This will all make perfect sense someday. This is a follow up to my last post. That post was about what my days are like when I work events. On nights when I have off, this is what my days look like. Thanks to my OCD, I take this schedule very seriously and take time to update it because of changing interests every 6 months. I even have this printed out and hung on my fridge for reference. 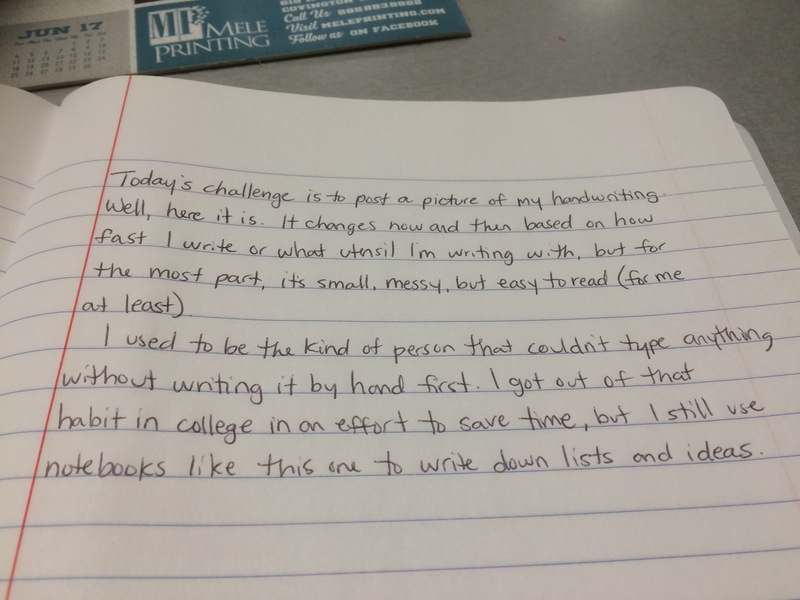 Today’s post challenge is to tell you about my day. What’s an average day like for me? Honestly, after tomorrow, my days will be much different (my last day at Tulane is tomorrow) and my life as a teacher will begin. For now, I’ll give you a quick run down of what my life is like currently on days when we have events (like baseball or basketball games). I’ll update this once I know what the plan is for the school year. It’s not a glamorous life and I’m pretty excited for something new coming soon! The lottery is a topic often brought up in our house. My grandma has always played scratch offs and I’ve been yearning to get on Wheel of Fortune one day. We always say, “If I won money, I would”, so maybe it’s time to share with you my plan. First things first, I would pay off my student loan debt as well as my siblings’. This is an agreement we all have because we are all aware of how much of a burden it is and we’d like to save each other from that. After student loans, I’d pay off any debts that my parents or Grandma have. Let’s face it; I’m probably the reason they are in debt so I should probably pay them back for it. This would include helping my dad pay off his restaurant and pay off my mom’s house so she can go live with my dad without worrying. Once all debts are paid off, money would go into savings for future children that I have so they can go to college and not leave $60,000 in debt. I hope that even if I don’t win the lottery, I can get to a place where I can put money away for them. Other than that, I would splurge now and then on trips to visit family. I wouldn’t change much about my lifestyle because for the most part, I live comfortably. Just getting rid of some of the worries of being an adult would be a complete game changer. Today’s challenge is to repost the first blog post I’ve ever written. I remember it clearly because it’s the whole reason I wanted to start a blog in the first place. It’s about an incredible dream I had. I still have very detailed dreams and I wish I was more patient and wrote about them. Last night was an adventure. Not an overly amazing adventure, but it was interesting none the less. And it happened while I was sleeping. He didn’t bother telling me how he was talking to me on the phone. He just kept saying how proud he was of me and how he’s pleased to see me be so successful in what I’ve done in my life so far. He also told me that I shouldn’t worry about where I’ll be in the future, because I’ll be fine. I thought it was funny when he asked me to cut my grandmother a little slack because she doesn’t mean to act like she doesn’t care about me or my accomplishments. The thing that got me the most was when, right before he hung up, he told me how honored he is to be my grandfather. In my dream, I started crying. I couldn’t hold it back anymore. When I was little I had a really good relationship with my grandpa and to be able to “talk” to him again was amazing. When I woke up, my chest was still tight and I was upset because I wish I could have talked to him longer. This has made me realize that I need to worry less about what is to come and worry more about what I’m doing now. I can be free to take chances and test my limits with the promise that in the end I’ll be alright. I really had to think about this one. I have a lot of “habits” or rituals, but I don’t know if they are bad habits. Let me lay them out for you. Locking things – I have OCD and I’m not just saying that. The obsessive thoughts that I have and the compulsions that come with them are at times debilitating, but I muddle through to live another day. My worst one is locking things. I’ll admit that I’ve gotten much better about it now that I don’t live alone, but I will always double check doors and windows and gates to make sure they’re locked. Inability to relax – I’m sure Bud would disagree with me based on how easy I fall asleep (mostly on the floor in the living room), but if I’m awake and active, sitting still is really hard for me. If I notice something is out of place or if I have the opportunity to clean/organize something, chances are I’m doing it. Forgetting to drink – I am really bad about staying hydrated. It’s just not something I think about. I take a water bottle to work everyday and some days I drink it all in the car on the way to work and sometimes it sits on my desk all day still full. I’m trying to get better at recognizing when I’m thirsty, but I’m so picky about what I drink that it hasn’t been a priority of mine. A lot of people with Autism (or without) have certain objects that make them feel comfortable in times of stress or uncertainty. I have had my comfort object since 8th grade and I still take it everywhere with me (within reason). In 8th grade, I got a Spider-Man fleece blanket for Christmas. I loved it and I used it constantly. Probably a year or so after getting this blanket, I asked my mom to modify it. I wanted one side of it to be satin and the other side to be fleece. Kind of like a baby blanket. Well, my mom is a dream maker so we actually did exactly what I wanted. I can use the fleece side for when I’m cold and the satin side when my skin feels like it’s crawling during a panic attack. I keep it under my pillow at night in case I need it and everyone knows that if I start to freak out, they need to get Spidey (that’s what we call my blanket). It may be childish, but it has stopped many a panic attacks.